Ten years ago, La Puerta Abierta was created. What began in 2007 as a one room library with a part-time local librarian has grown into a thriving, multilingual school that provides an early childhood education program, a primary school with 110 students, a traveling library, teen reading circles, parent education, professional development and a hub for a mothers’ artisan group! For the last five years, we have been searching for a “forever” home for La Puerta Abierta. As you may know, we are committed to meeting the needs of our community’s families as their children advance in our elementary school. We have found creative solutions to hosting our classes, including a makeshift school, known to many at the “jungle school,” on borrowed land and with temporary materials. 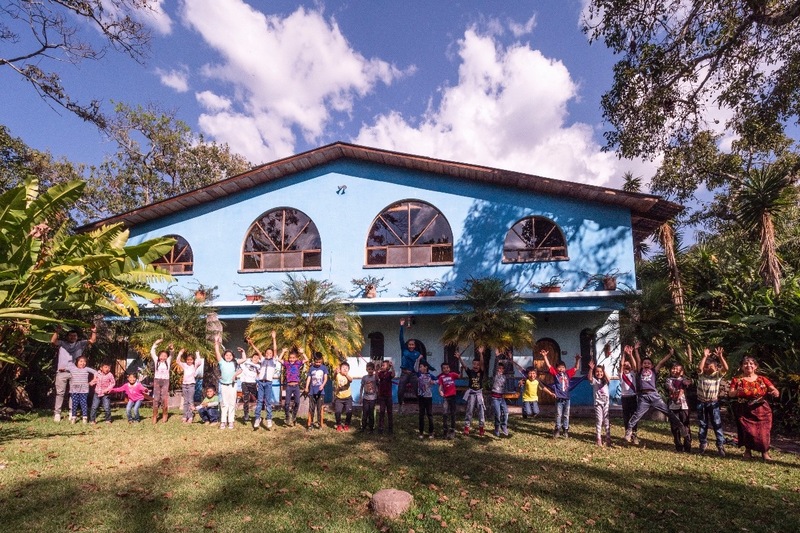 While we are fond of our outdoor-school and we are proud of our problem solving skills in finding temporary housing for a school, we are very much aware that a school on borrowed land is unsustainable for the long-term vision of La Puerta Abierta. Recently, we were offered the opportunity to purchase our forever home for La Puerta Abierta, a plot of land just around the bend from our current site. In addition, this land already has a brick and mortar, two-story structure on it, with seven rooms, one for each grade, plus an administrative office. This would truly ensure the future of La Puerta Abierta. We are over the moon and out of our minds, delighted to finally discover a physical space to secure the future of our school, though challenged by raising the funds to buy the land and building. We need your help to make this dream come true. For the purchase and development of our site, we must raise $300,000. As a small school serving a community with limited resources, we are counting on YOU! 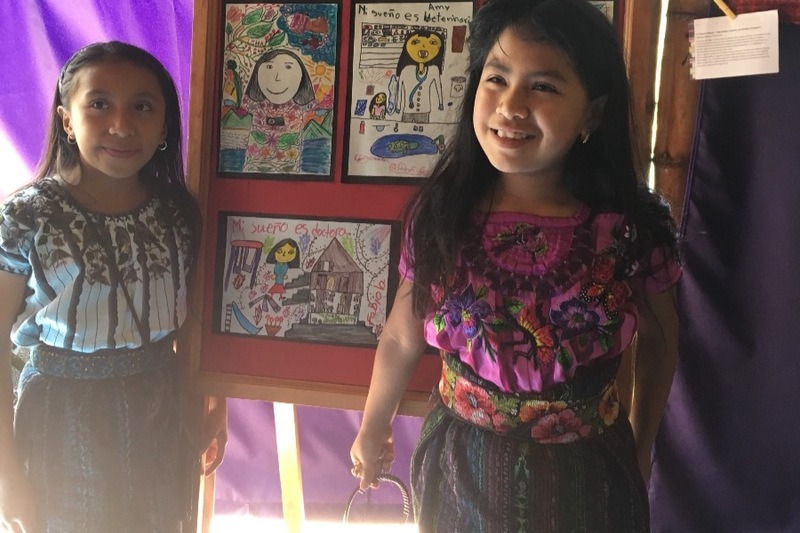 We hope that you are inspired to contribute to a legacy of dignified, creative and purposeful education for the children of Santiago Atitlan, the future leaders and dreamers of our community. We would welcome all donors to visit our village and school, to see for yourself the difference your contribution makes! Any donation will help make impact. Thanks in advance for your contribution to this cause that means so much to our community. At the end of the day it's not about what you have or even about what you have accomplished...it's about who you have lifted up, who you've made better. It's about what you have given back. Hello World! This month, Puerta Abierta Atitlán will be celebrating it's 12th anniversary! In honor of our twelve year journey, we will be posting stories as part of a series, "Humans of La Puerta Abierta," in which we highlight students, teachers, parents, volunteers and friends who create community at our center. This week I would like to introduce you to Chonita, our dedicated kindergarten teacher and share her story. I first met Chonita in the early days of La Puerta Abierta. In fact, she is our most veteran teacher and has collaborated with our center for the entirety of our existence. During our first encounter, I could feel that Chonita was open-minded, positive and energetic...all traits that we value at La Puerta Abierta. I also knew that she was expecting her first child when I hired her and I wondered if at some point soon after she began working, she would choose to leave La Puerta Abierta to fully commit to a life of household responsibilities. Over a decade ago, women in Atitlan were just beginning to find balance and acceptance as both mothers and professionals. To my great surprise and delight, Chonita (with the support of her progressive husband) chose to return to our center just weeks after the birth of her first daughter, Lea. I should mention that Lea returned with her. Chonita created a little nest of pillows and blankets for baby Lea in the office and in between attending children at La Puerta Abierta, Chonita would cradle and nurse her daughter. In truth, Lea grew up amongst books, music and art. Lea is now 11 years old, and is an avid reader and talented artist! Chonita has stepped into many positions at la Puerta Abierta including librarian, mothers' artisan coordinator, reading mentor, early stimulation coordinator and kindergarten teacher. 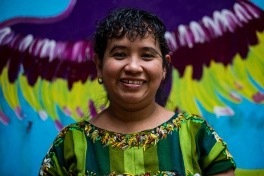 Chonita is now the mother of two radiant daughters who both attend La Puerta Abierta, and she continues to show up with confidence, grace and enthusiasm for both family and work. Ella inicio su trabajo con nosotros hace doce años, durante este tiempo ha evolucionado en todas las etapas de su vida. Actualmente está casada, tiene dos hijas ¨Leha y Linda¨ y un perro. Estudia educación en la universidad. 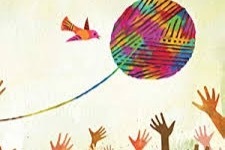 Tiene experiencia de trabajar con todos nuestros programas como: la biblioteca, la biblioteca móvil, estimulación temprana, la escuela, el grupo de madres y los círculos de lectura. Además de ser una de las primeras personas en el equipo, ha sido la inspiración para los demás maestros, ayudando a cultivar un ambiente agradable, fomentar el trabajo en equipo y la amistad entre estudiantes, padres y visitantes. Si un día tienes la oportunidad de visitar su clase, estoy segura que desearás quedarte ahí, porque esta llena de juego, risas, aprendizaje y a simple vista ver su dedicación y pasión por la educación. Nos sentimos tan agradecidos y afortunados de trabajar con una excelente persona, madre, maestra, amiga y hermana con un gran corazón. Gracias Chonita! Thank you to all who have donated and in turn, have let the children of Santiago Atitlan know that they are an essential part of our world! Hello World! 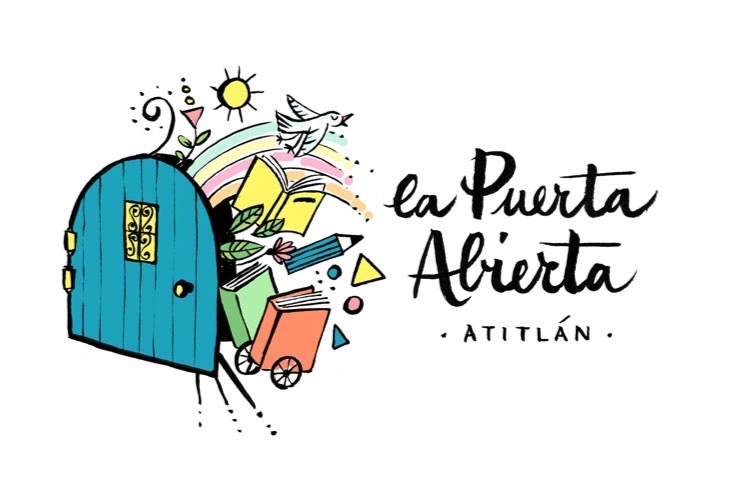 This month, Puerta Abierta Atitlán will be celebrating it's 13th anniversary! In honor of our thirteen year journey, we will be posting stories as part of a series, "Humans of La Puerta Abierta," in which we highlight students, teachers, parents, volunteers and friends who create community at our center. Today I would like to introduce you to Henry, our curious and thoughtful 5th grader and share his story. Henry arrived at Puerta Abierta Atitlán as a four-year-old and joined our second class of preschool students. Like many new students entering into a school environment for the first time, Henry was shy and observant. Henry lives in the rural community of Tzanchaj and Maya Tzutuhil is his first language. 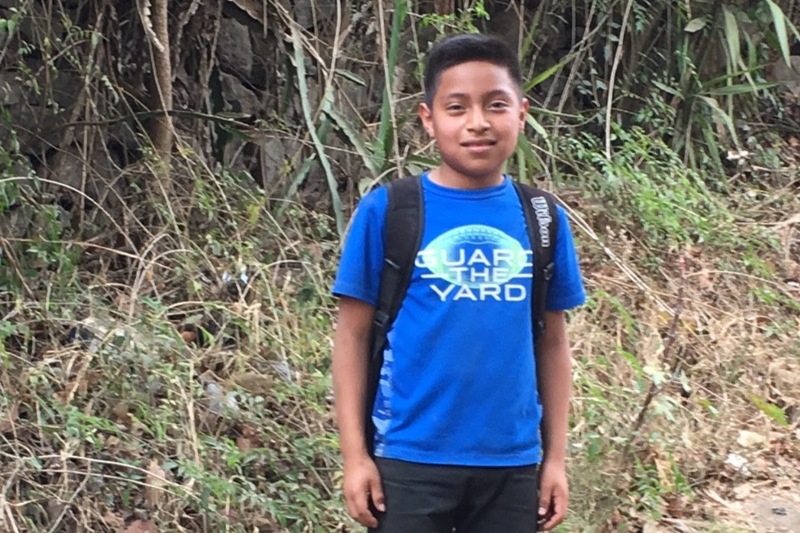 While we honor and celebrate indigenous languages at La Puerta Abierta, our common language at school is Spanish and Henry's first months at our center were a blur of new experiences and new languages. Each year that has passed, Henry has grown in confidence. He is smart, kind and hardworking, all qualities which I admire. However, what I most love about Henry is his perseverance. He tries, even when math is hard, or the road to school is muddy. He never gives up. Henry is one of many " Humans of La Puerta Abierta" who make our community vibrant and positive. Stay tuned to meet other individuals who enhance the spirit of our center! Two weeks ago, Puerta Abierta Atitlán launched our Forever School Campaign. The support that our organization has received has been overwhelming in the best of ways...overwhelming in inspiration, sentiment and encouragement. We thank our friends around the world for sharing and supporting our vision! In the first two weeks of our fundraiser, we have raised 45,000 heart-felt dollars! Thank you! Mil gracias! WE ARE La Puerta Abierta. WE ARE children. We are mothers and fathers and grandmothers and grandfathers. WE ARE students and teachers. WE ARE community. WE ARE dreamers, leaders and global citizens. WE ARE the future. WE ARE grateful for YOU and your support of our future home.